This Saturday saw the official launch of a bespoke range of wedding jewellery by Oresome partners Nicola Fidell Chapman and Victoria Prince. 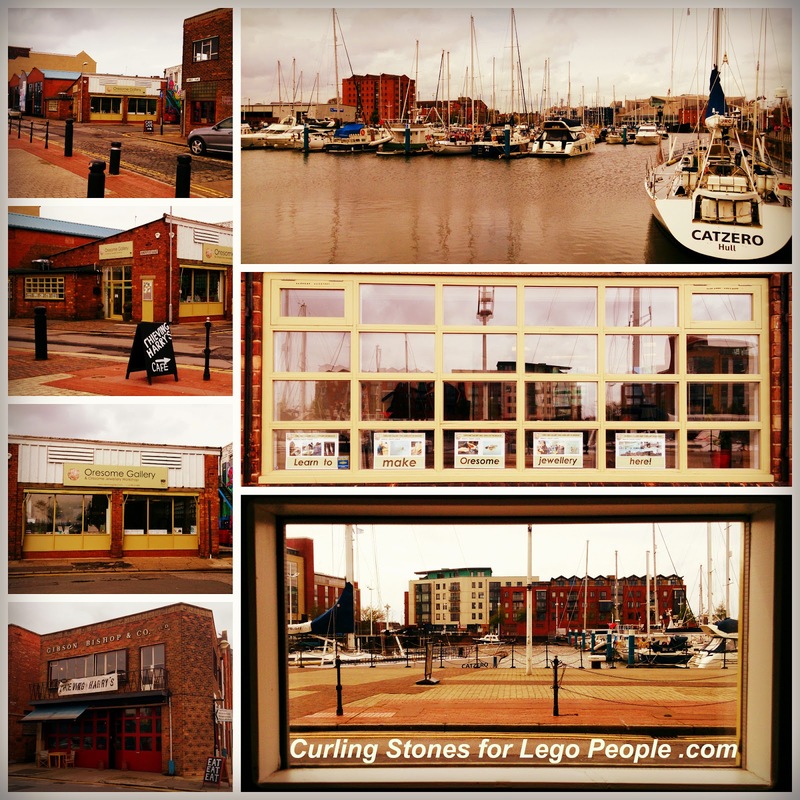 A perfect time to take a stroll around Hull Marina and into Oresome Gallery - pleasantly located at the side of the Marina and across the road from the utterly delicious Thieving Harry's cafe. Oresome Gallery and Workshop are a mostly undiscovered gem for a lot of people. I'm always torn between writing about them a LOT, and never ever mentioning them again to keep them all to myself... but if you live nearby, or visit Hull in the future, they are definitely worth a trip! I really enjoyed looking at all the new wedding jewellery on Saturday, I tried a couple on myself. I was particularly drawn to two of Nicola's designs, well technically four, as it was two different sets - comprising of an engagement ring and wedding band apiece. The way the bands fit together was exquisite and I loved the flowing lines of the design and the stones used... and they fit me perfectly... dangerous times! I don't have close ups of those two sets, but if you're in the area I'd urge you to pop in and take a look for yourself, the rest of the gallery is worth looking at too and you can always pop in to the cafe for a drink or a bite to eat. Unlike my lovely female hand model for the top 3 rings (beautiful nails) I couldn't find a male to model a gent's ring, so if you wouldn't mind please could you imagine the ring below on a slightly larger, more masculine hand for me? That's great, thank you! Victoria and Nicola take commissions as well as selling their own designs, so if you have an idea for a piece of jewellery you can talk to them about how to make that a reality. If you're feeling personally creative you can actually design and make your own wedding rings as part of a course - private tuition for two people over 2 weekend days. All course details are here on their website - they also run bite-sized taster sessions in making glass beads, rings, earrings, pendants and even cufflinks! If you're interested in how a ring is made, or what a workshop would be like - here is my account of the making rings taster workshop - a fab way to spend a Sunday! 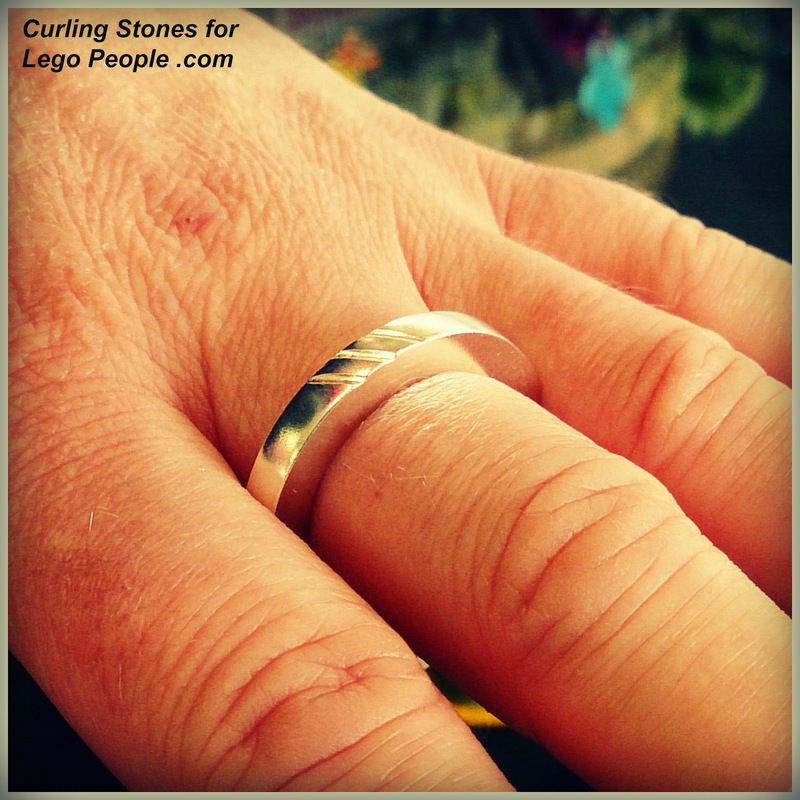 Have you ever had a piece of jewellery made especially for you? What was it, or what would you love to have made? Or perhaps you already make your own... what do you create for yourself? I have a white gold ring with a round peridot made for me. It's a very simple design that I wanted to match my peridot pendant that I had. Someday perhaps I will have more pieces made, as I was very pleased with how it turned out. Are you going to make more stuff Mars? I've often considered getting something made with stones from an old ring I never wear (and never will in it's current form). Will definitely get that back out this week to have a look at the stones! I would definitely like to make some more beads, a lampworking lesson is one of my 2 resolutions for the year so something that definitely will happen. I think I've enough movement in my shoulder now to wield the glass, been working on this whilst driving... so anyone pulling up besides me at traffic lights must think I'm pretending to be a chicken flapping my wings! I thoroughly enjoyed the day I spent last year with Nicola, Victoria and all their students... it was blissfully almost theraputic like to see their ideas and creations become rings! I have a ring in white gold designed by a Danish jeweller living in Sri Lanka. I had it made many years before I got into TBs - but it is a near perfect match for the Pure Passion bead! It has a pearl and a garnet in it. 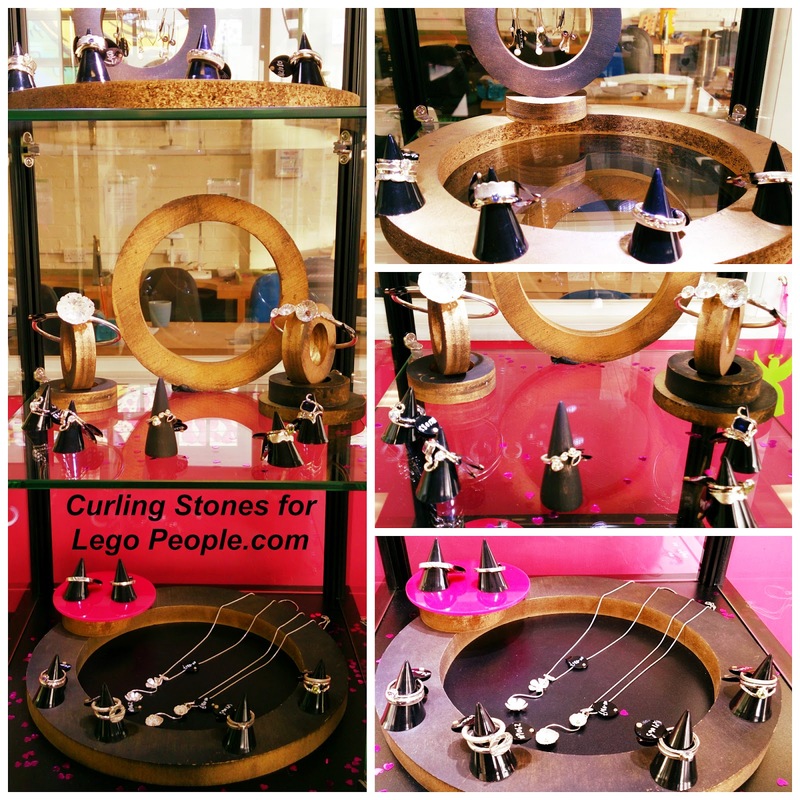 Bespoke jewellery can be fun! I love garnets! I have a few silver rings with garnet stones in, they all need a good clean though as they weren't worn for a few years and it shows - before I started to take better care of my jewellery. Pure Passion was a bead that passed me by until it was in a sale when I took a 2nd look at it. Between that and the birthstone zodiac stars I'm also getting a greater appreciation of pearls. I think garnet with pearls is such a lovely combination! Hmmm, I can see this also may become addictive... luckily I have a bus to consider first so that may slow me down a bit (financially that is, I'm not sure we could go any slower in reality, I must be the only person who loves getting stuck behind a tractor... I can blame our speed on the tractor).